This weeks Rose of the week is indeed another total classic rose, again one of my favourites (well to be honest there’s not many I don’t like!). 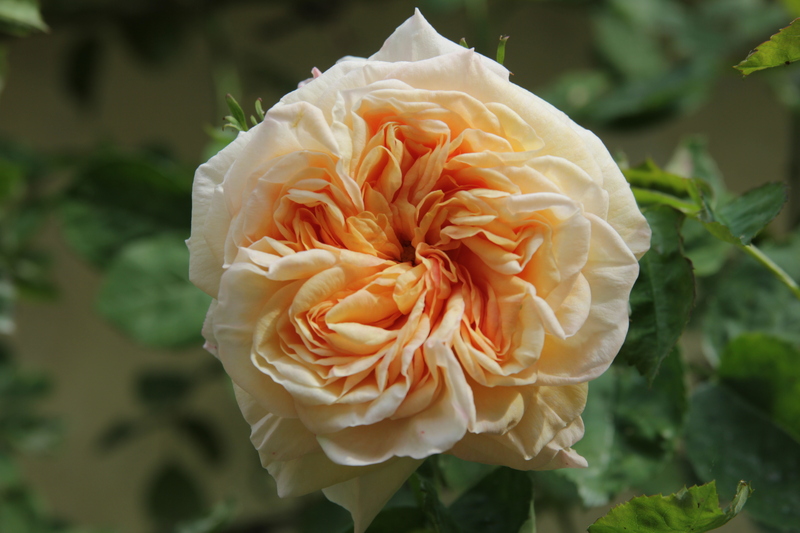 This tea noisette Rose does need the support of a wall the get the best from its maximum size 5mx7m size that’s covered in deep buff 10cm wide flowers that take on a pink and apricot during warm spell. These highly fragrant flowers have a main flush during June and then have the odd flower repeating the for the reminder of the summer months, up until the first frosts. It will take a full sunny spot or indeed one with a bit of shade and most types of soil as well. The foliage is a good glossy green colour. Disease wise,the normal problems can effect this rose a bit, but does show a good resistance to the problems (please see here for treatment suggestions) indeed all the above make it one of the best climbing roses you can plant in your garden. For the sluicing of their rain-dishevelled petals. Mellow as the glory roses. What a lovely pose! Again it can be found growing in gardens like Mottisfont Abbey Gardens and I believe Hidcote has a great specimen. It can be brought from most good rose suppliers like David Austin Roses and Trevor White Rose.